This cosy hotel is set in Camp Springs. The total number of accommodation units is 52. Facilities Guests can enjoy a pleasant stay in one of the 47 rooms. A conference room is among the facilities. Wireless internet access is available to travellers in the public areas. Those arriving in their own vehicles can leave them in the car park of the motel. Rooms The accommodation features rooms with air conditioning and a bathroom. A double bed ensures a good night's sleep. Cots are available for younger guests. All rooms offer an ironing set, internet access and WiFi. The accommodation units include a bathroom with a shower. A hairdryer can also be found in each of the bathrooms. The establishment offers non-smoking rooms and smoking rooms. Sports/Entertainment The motel offers attractions including sport and entertainment opportunities. The accommodation features a pool and an outdoor pool. The establishment offers a gym (for a fee) to travellers. Meals Bed and breakfast is bookable. Options include breakfast. 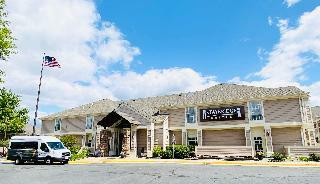 This hotel is located next to the entrance to Andrews Air Force Base at Exit 9 off I-95 and I-495. Attractions in the area include the Paul Garber Museum and Iverson Mall which are less than a 5-minute drive away. Six Flags America theme park is a 20-minute drive from the hotel. Washington, DC is 8 km away and National Harbour is 16 km away. 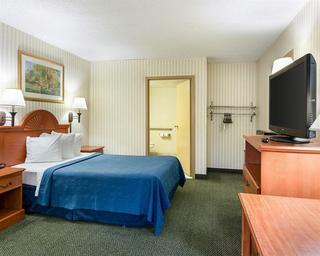 The hotel's guest rooms are stylishly decorated and equipped with cable TV, a microwave and refrigerator. They also have a work desk and free high-speed internet access, which makes them convenient for business travellers as well as leisure guests. Corporate travellers will also appreciate the business centre available on site. 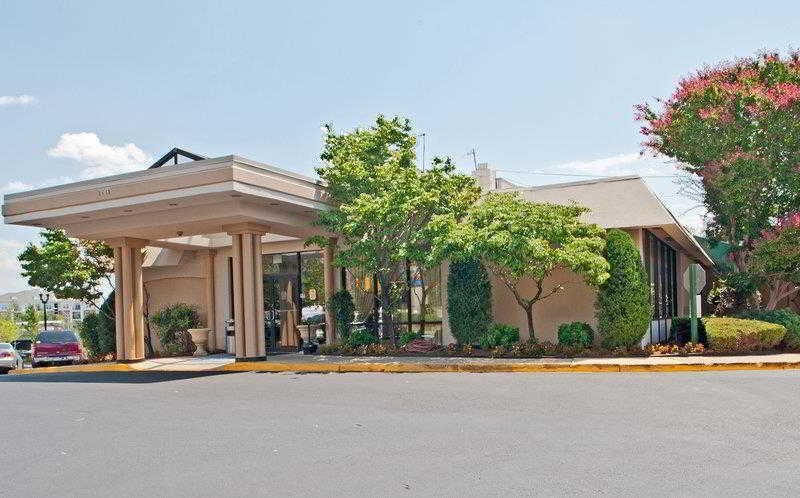 Located just one mile from historic downtown Leesburg, Virginia, the Best Western Leesburg Hotel is ideal for families, corporate travelers, wedding groups, and social gatherings. 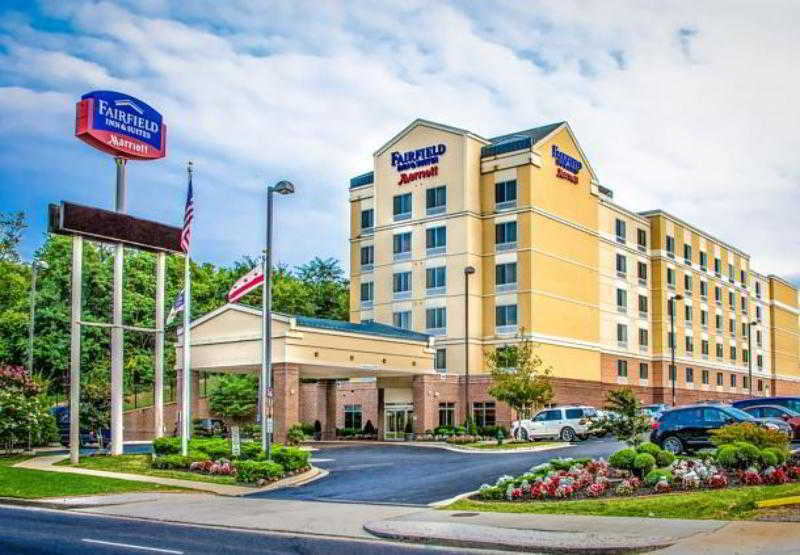 Whether you are in Northern Virginia for business or pleasure, the Best Western Leesburg Hotel & Conference Center is a favorite choice for outstanding customer care, sophisticated accommodations, and unbeatable value. This professionally-designed interior-corridor hotel features 99 well-appointed guest rooms, each equipped with one king or two queen beds, refrigerator, microwave, sitting area, large desk, and cable television. Our guests enjoy an array of complimentary amenities, including a free full, hot breakfast buffet; free upgraded Wi-Fi; seasonal outdoor swimming pool; indoor exercise facility; business center; 24-hour coffee in our lobby; weekday newspaper; and ample free parking. For those hosting meetings or social events in the area, we offer 3,000 sq. 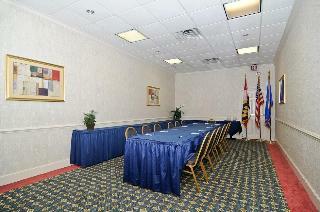 ft. of professional meeting and banquet space accommodating 5 to 150. Guests of the Best Western Leesburg Hotel & Conference Center have easy access to a variety of nearby dining and shopping opportunities, including specialty and antique stores downtown (1 mi.) and designer favorites at Leesburg Corner Premium Outlets (1 mi.). History buffs enjoy being just minutes from historic battlefields, beautiful plantations and mansions, and numerous museums. Visitors can choose from over 40 local wineries and a dozen micro-breweries. Leesburg is also home to a variety of events throughout the year, including baseball tournaments, sporting events and horse shows at Morven Park, and soccer and lacrosse at Evergreen Sportsplex. Exciting festivals are nearby, including Washington DCâ? ?s Cherry Blossom and the Shenandoah Apple Blossom Festival. The friendly team at the Best Western Leesburg Hotel & Conference Center are here to help you plan an unforgettable stay in Leesburg, Virginia. Make a reservation today and save! 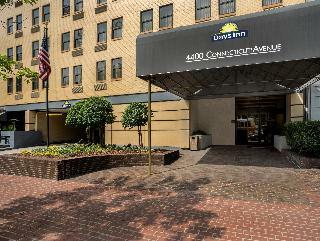 The hotel has a convenient location just 13 km from downtown Washington DC. 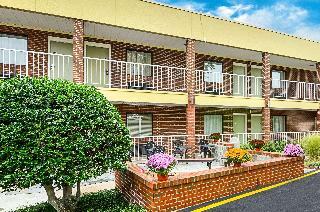 It is just 1.4 km from the metro for easy transportation and is accessible from both the I-95 and I-495. The Pentagon, Arlington Cemetery, downtown Washington DC, Fort Belvoir and Mt. Vernon are all within 16 km of this hotel. 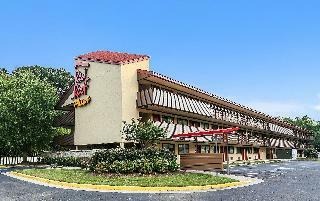 There are many restaurants and shopping just minutes away. 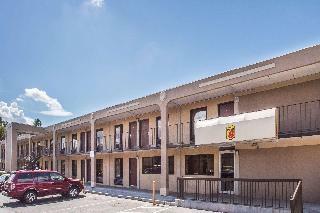 The 115-room city hotel has friendly staff and is a great place to stay. In addition to a lobby area with 24-hour reception and check-out service, cloakroom and lift access to the upper floors, facilities available to guests at this air-conditioned accommodation include a washing facility and a car park. The hotel's guest rooms feature televisions that come with premium cable channels and bathrooms with a shower, hairdryer and complimentary toiletries. Further features of accommodation units include a direct dial telephone, radio and a double or king-size bed. Individually regulated air conditioning units also come as standard. From the national airport: travel south on George Washington Memorial Parkway for 3 km and bear right onto Abingdon Drive. Turn right onto Slaters Lane and then bear right onto Henry Street/US 1. Follow this for approximately 6 km and the hotel is visible on the left-hand side of the road. This hotel offers the perfect base from which to explore the essence and intrigue of the area. Within a short distance away, guests can enjoy the Air Force Memorial, Smithsonian Museum, White House and the Library of Congress. After exploring the delights of the area, visitors can relax into the elegant surroundings of the hotel guest rooms. Decorated with soothing, natural tones, the rooms invite guests into an aura of tranquillity and comfort. Business guests will appreciate the hotel meeting room, where efficiency and productivity can be maintained. Ideal for business and leisure travellers alike, this hotel boasts a well-connected setting, in a charming location. 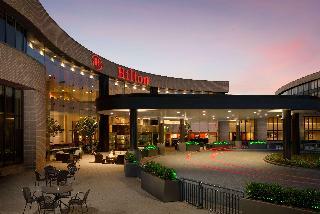 This lovely hotel is in Dulles Airport. The accommodation consists of 133 guests rooms. Those who dislike animals may enjoy their stay, as this hotel does not allow pets. 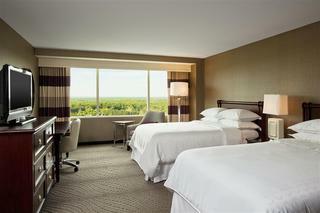 Conveniently located just minutes from Dulles Airport and next to the Executive Conference and Training Center in Sterling, this attractive hotel offers the perfect stay for those with early or stopover flights as well as for business travellers on short stays. Washington DC and Arlington can be reached in a half-hour drive, and guests may wish to shop at the nearby Dulles Town Center or visit the Udvar-Hazy Air and Space Museum. The hotel's comfortable rooms are well-appointed with handy microwaves and refrigerators, coffee and tea facilities, and large work desks. Guests can take advantage of the free parking and free Wi-Fi provided throughout the hotel, and wake up to a complimentary breakfast of waffles, pastries and fresh fruit. Business travellers might also appreciate the proximity of the ECTC conference centre with its versatile meeting rooms for seminars and conferences of up to 100 delegates. Bus/Train station - 20.000 Km. Nearest Bus / Metro Stop - 7.000 Km. Entertainment Area - 7.000 Km. Lying just 2 km away from the historical old town of Alexandria, this hotel offers guests a cultural experience. The hotel is located just a short driving distance away from Washington D.C., enjoying close proximity to a host of intriguing attractions. Mount Vernon is located just a short distance away. 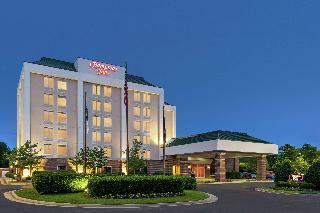 This wonderful hotel is located within easy access of National Harbour, MD and Fort Belvoir Army Base. 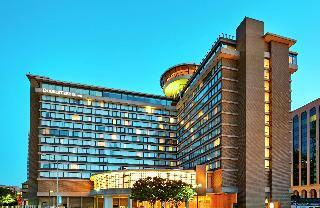 Comprising superb accommodation options, this hotel promises guests the utmost in comfort and convenience. Guests can enjoy an energetic workout in the fitness centre, followed by a refreshing swim in the seasonal outdoor pool. Guests are invited to enjoy a delightful breakfast in the mornings, for a great start to the day. Nearest Bus / Metro Stop - 0.007 Km.